Plantronics is everywhere on a busy, business-focused street. Just look around and you would see a bunch of people with Bluetooth headsets hanging off their ear – probably the advent of the cyborg apocalypse if you listen to the naysayers (and haters), but definitely one of the enduring identities of this mobile focused brand. 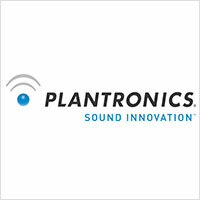 Plantronics has been at the forefront of the comfortable audio technology for consumers on the move. Plantronics’ USP is in engineering smaller, compact and extremely high quality communications equipment. Be it airline headsets, telephones or Bluetooth headsets. One of their oldest innovations is the first infrared-beam operated wireless telephone way back in in the 1980s. These were mostly used in commercial establishments where fast-paced communication was a necessity. Consequently the company also shifted focus towards building products towards the businessman consumer. However, the company also manufactures communications headsets for video game use, especially in console systems. These brands are incorporated under its GameCom and .Audio brands. Since the acquisition of Altec Lansing, the company has also established a sizable line of headphones and speaker systems under its aegis. Working with the expertise of Altec Lansing over all those years is paying off great dividends for Plantronics. In the 1960s, two pilots thought the cumbersome and heavy airline headsets should be replaced with something that was equally, if not better in terms of sound quality but at the same time small and portable enough to not cause discomfort for the pilots. In 1961, Courtney Graham and Keith Larkin established the Pacific Plantronics company and launched their updated and high quality airplane headset system that was an instant hit. So much so that the two were contacted by NASA to create a robust communications solution for astronauts that were to be sent in the pathbreaking Mercury manned spaceflight programmes. In just 11 days, SPENCOMM, the space communications division of Plantronics, and NASA came up with a high performance and highly durable headset system for astronauts. This collaboration continued for quite a while, with the first words of Neil Armstrong transmitted from the Moon on a Plantronics system. Eventually, with the pause in the Space Race, the boom of industry demanded Plantronics’ attention and the company delivered to businessmen who preferred having their hands free while speaking over the telephone, with the company producing StarSet handsfree telephones in the 1970s. Altec Lansing was bought by Plantronics in 2005 and since their assets and brands have transferred over, the company has been consciously including Altec Lansing expertise in all their speakers, headphones and headsets to deliver better quality to the consumers. The Plantronics BackBeat 906 earphones are the perfect example of the marriage of high quality sound from Altec Lansing’s stables and the excellent quality microphone and wireless expertise of Plantronics. 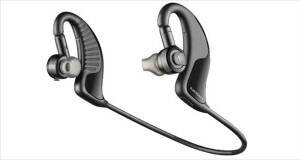 These are slick looking dual-function Bluetooth earphones that deliver clear sound and also allow you to talk over Bluetooth while also noticeably decreasing external sound thanks to its dual-mic dynamic noise cancelling technology. It also includes a great BassBoost button as well as OpenMic tech to let you listen to your surroundings without taking off the headset.